We have good news and bad news. The good: Next-big-local-thing Bison have released a four-song EP, and it is a straight home run, just a killer record. The bad news? As of this writing, Bison are dead. The Burlington trio dropped its second record, the appropriately named Drive Fast, Love Hard, in June, played a handful of shows and then promptly shut down the office. It's a strange move for a band that has captivated so many in its four-year life span — particularly with last summer's fantastic and highly acclaimed debut, Get In. But rock and roll, as life at large, is strange. And, alas, Bison are no more. They won't be missed as much as they should be, but credit the band members with leaving behind a startling testament to their raw power. Dripping with equal parts manic dance music and new-wave doom, Drive Fast, Love Hard is a hell of a swan song. "Paper Blade" opens the EP as drummer Fabian Gaspero-Beckstrom lays down a beat with the frantic energy of a pack of dogs giving chase. K.C. Dressing digs into a driving bass line before guitarist Charlie Hill makes his entrance with clean, resonant chords. "You have more than what you need / You want more than you can receive," Hill sings, ever on the verge of a shout. He clings to the melody with a wild eye. Bison had dubbed themselves a "disco punk" band. It's hard to imagine a better description of "Arkansas," which the band dropped as an advance single a month before releasing Drive Fast, Love Hard. The verse ticks along, building tension before breaking into a hard-charging chorus with almost demented-sounding vocals. "Fall Out," another club-banger of a tune, further cements the band's distinct sonic identity. In the tradition of early '00s New York City legends the Rapture, Bison took on dance music with an unironic sneer, adding stabs of aggression, moments of complicated lust and a sort of neon-lit nihilism that afforded the band a rich and potent songwriting platform. Hill, Gaspero-Beckstrom and Dressing combined their considerable talents and sonic quirks to make music the likes of which the Queen City hadn't heard before — and perhaps won't again. If you were lucky enough to catch the epic EP release/farewell show Bison played at ArtsRiot for Drive Fast, Love Hard, you saw the band in all its pomp. The trio ripped through its catalog like young men facing mortality. As the packed room throbbed to propulsive beats and angular riffs, everyone knew they were witnessing a full-throated goodbye from a band in its prime. Bison are dead. Long live Bison. 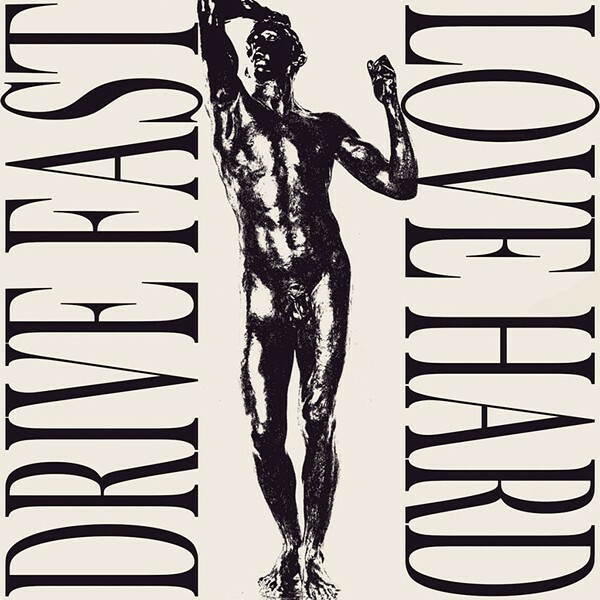 Drive Fast, Love Hard is available at bison4.bandcamp.com. Bison play one more "last" show on Saturday, June 23, at the Nightshade Festival II at Red Barn Gardens in Williston.